Branson is widely known in the Ozark region as home to countless entertaining live shows where you’re sure to enjoy concerts, comedy shows, acrobatic shows, and more. As the temperature of this entertainment capital does not drop too low even during winter, you can still enjoy a lot of outdoor activities in Branson. Below are the top 5 attractions that remain open all year round and offer tons of outdoor activities in Branson that include Silver Dollar City, Branson Christmas Shows, Grand Jubilee, Titanic Museum, and Holiday Shopping. 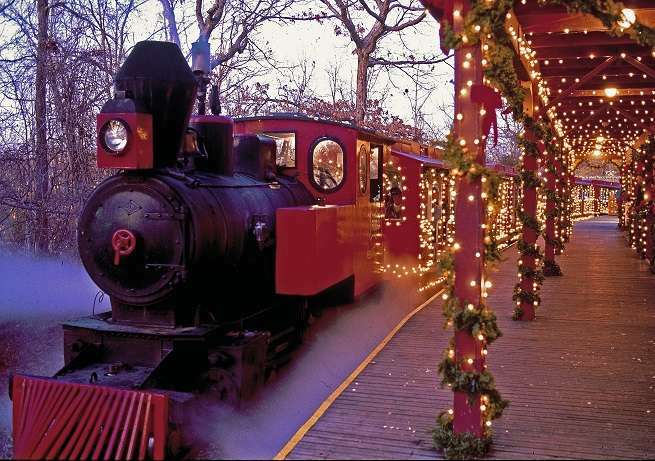 Silver Dollar City is one of the favourite attractions in Branson to visit during the holiday season. Even the outside weather is colder; it won’t keep visitors in seeing this amazing theme park. With thrilling roller coaster rides, talented street performers, skilled craftsmen displaying their works of art, tons of great places to dine in, this theme park offers great fun for children and adults alike. Although some rides are closed during winter, but the entertainment shows and other activities are up and running. No matter what the season is, you’re to enjoy exciting outdoor activities at Silver Dollar City. Silver Dollar City is an exciting place to enjoy An Old Time Christmas as it’s in this place where you will find over five million lights, combined with holiday decorations and a dash of merriment. You will also find Christmas on Main Street that features multi-colored, synchronous light display, and a five-story Christmas Tree which sparkles and dances in unison to special effects set to music like “Joy to the World,” “Carol of the Bells,” and “Sleigh Ride.” While enjoying your time seeing dazzling Christmas lights you can shop at more than two dozen unique shops including Jingle Bell Junction which showcases 80 themed trees and a variety of Christmas decorations. Be sure not to miss two of the top Christmas shows at Silver Dollar City – “It’s a Wonderful Life” and “A Dickens’ Christmas Carol.” These shows are engaging productions made even better by a talented cast, great music, authentic costumes, and set design. “It’s a Wonderful Life” is brought to you by Silver Dollar City’s award-winning producers. This show features dazzling special effects and talented cast of 14 actors and singers. Dickens’ Christmas Carol is a 60-minute Broadway-style show which features a talented cast of 15 actors accompanied by a live band, stunning Victorian scenery, astounding special effects, and exquisite period costuming. Branson Christmas Shows is a great way to enjoy the holiday season as this holiday attraction features three wonderful shows in Branson during winter season which include Dixie Stampede Dinner & Show at Dixie Stampede Theater, Christmas Wonderland, and The Miracle of Christmas. Dixie Stampede Dinner & Show is a festive holiday show where you will be treated with a delicious four-course meal. The show features old-fashioned holiday costumes, traditional music, lights, elves and a live nativity. The dinner feasts includes Southern favorites, like rotisserie chicken, barbecue pork, home-style biscuits and more. As one of Branson’s favorite holiday shows, Christmas Wonderland offers an extravagant holiday production ideal for the whole family. The show features candy-striped costumes, upbeat choreography, beautiful scenery, gorgeous production numbers and some of the talented chorus girls in Branson. The Miracle of Christmas is a great show where you can watch in awe as the birth of Jesus Christ is brought to life right before your eyes. Featuring state-of-the-art special effects, Miracle of Christmas provides audiences with captivating songs and a sense of wonder. Grand Jubilee is one of the most sought after shows in Branson during the holiday season as this brings you some of the best entertainment you will enjoy in the area. It is a true variety show combined with the best in classic and modern country music. Grand Jubilee is one of Branson attractions which features some of the funniest comedians in town, as well as stunning dancing and singing performances of unbelievably talented performers, and a multi-talented cast that this show brings together with a high-energy cast to put on one of the best shows in Branson. Grand Jubilee show in Branson have won many awards and accolades, such as “Branson’s Best Variety Show,” “Show of the Year,” “Quartet of the Year,” just to name a few. Other awards that have been won include “Band of the Year,” “Emcee of the Year,” and “Comedian of the Year.” Individual members of the show have won also “Guitar Player of the Year,” “Bass Player of the Year,” “Fiddle Player of the Year,” “Piano Player of the Year,” as well as “Instrumentalist of the Year,” “Drummer of the Year,” and “Steel Guitar Player of the Year.” With all these awards, you will see how entertaining the show is. After enjoying many exciting shows in Branson, it’s time to head over to the Titanic Museum for some fascinating activities. During winter season, this famous attraction in Branson is decorated in Edwardian-style holiday decorations, celebrating the season of titanic proportions. Ensconce yourself in the great display of exhibits of artifacts, which feature thousands of dazzling Christmas lights. In addition, you will find a Gift Shoppe brimming with unique items. Considered as the largest museum attraction in the world, Titanic is a permanent interactive family experience that truly gives tribute to the iconic ship and its passengers from the night of its final voyage in 1912. A self-guided tour can be enjoyed inside the museum where you can see great features of the Titanic such as fully recreated cabins, parlors, and the infamous $1 million grand staircase, as well as interactive displays and children’s exhibits. Titanic Museum has the largest collections of authentic Titanic artifacts and the guardian of 2,208 passengers and crew stories. One of the best outdoor activities in Branson to enjoy during winter season is holiday shopping. Branson has no shortage of places to shop. Whether you’re a last minute shopper who needs a specific item for the season or a planner in need of a few stocking stuffers, you’ll find everything in Branson. As a favorite shopping destination in the Midwest, you’ll find three major outlet malls in Branson such as Tanger Outlet Mall, Factory Merchants Mall, and Branson Landing. Tanger Outlet Mall is home to many name brands such as Tommy Hilfiger, American Eagle, Liz Claiborne, Gap, Aeropostale, Bath & Body Works, Banana Republic, Nike and more. With so many brand shops to choose from, Tanger Outlet makes your holiday shopping easy. Beautifully located right on Highway 76, the mall is convenient for shoppers who want to experience great shopping in Branson. Factory Merchants Mall is a large mall that features various name brands and stores, including Reebok, Nautica, Lane Bryant, Jones New York, Crocs, Famous Footwear, Carter’s, I Love Quilt, Pfaltzgraff and more. This mall has about 50 shops that allow customers to get a bargain when they do their holiday shopping. 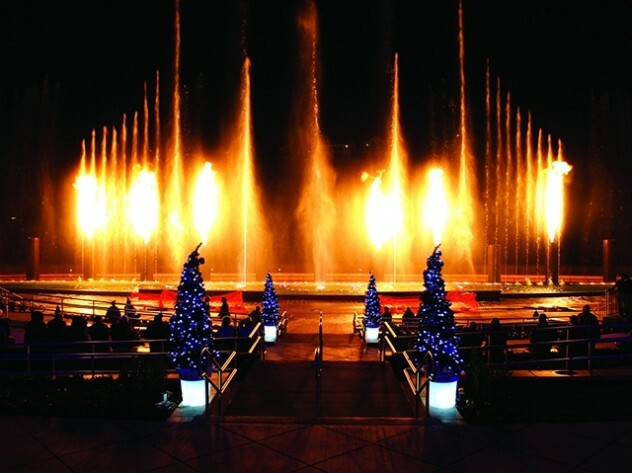 Beautifully located near the waterfront of Lake Taneycomo, Branson Landing is a great place to enjoy holiday shopping as it features many trendy specialty shopping and establishments, and spectacular fountain show that dances to the sounds of the season in the town square. A few of the famous shops located at the Branson Landing include Bass Pro Shop, Belk Department Store, Charlotte Russe, Build-a-Bear, Ann Taylor, Coldwater Creek, Hollisger, Cardinals Clubhouse, Journey’s and many more. Even if it’s cold outside, you can still enjoy great outdoor activities in Branson, as the temperature in this great vacation destination does not drop too low during winter season.